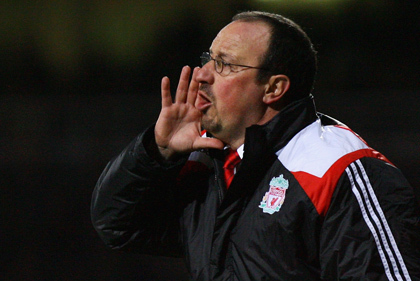 Caption Comp â€“ What’s Rafa Benitez shouting about? With Liverpool losing to West Ham last night, that all-important fourth place spot is looking further away than ever for Benitezâ€™s boys â€“ they are now languishing in seventh with Everton in the final Champions League spot. All those fans who protested to keep Rafa in a job might be wishing they had never put those banners together now. And, by the look of this picture, the pressure seems to be taking its toll on the beleaguered manager. Let us know if you have the words to describe what is going through Rafaâ€™s mind at the moment.